Stretch Music is a jazz rooted, genre blind musical form that attempts to “stretch” jazz’s rhythmic, melodic and harmonic conventions to encompass as many other musical forms, vernacular, thought processes and cultures as possible. This work was supported by a Building Demand for the Arts Implementation grant from the Doris Duke Charitable Foundation. 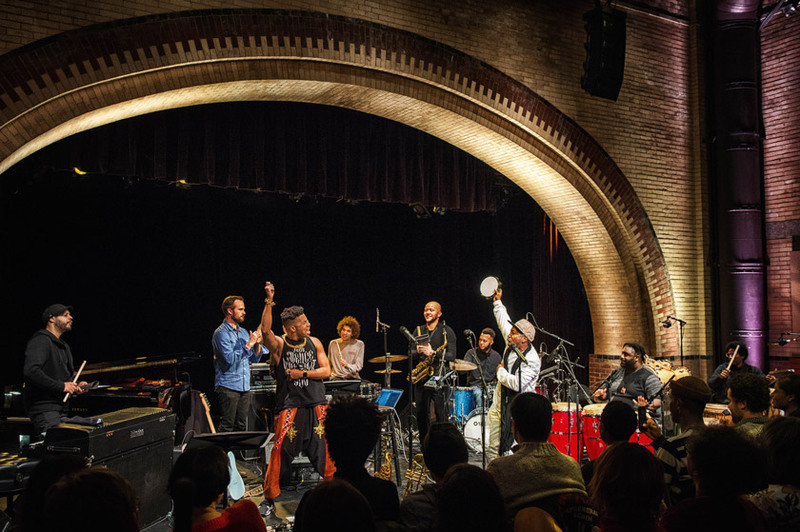 The Stretch Music Residency is a part of Harlem Stage’s WaterWorks program. WaterWorks is supported by Time Warner Foundation, Jerome Foundation, Bob and Eileen Gilman Family Foundation and The MAP Fund, supported by the Doris Duke Charitable Foundation and the Andrew W. Mellon Foundation.